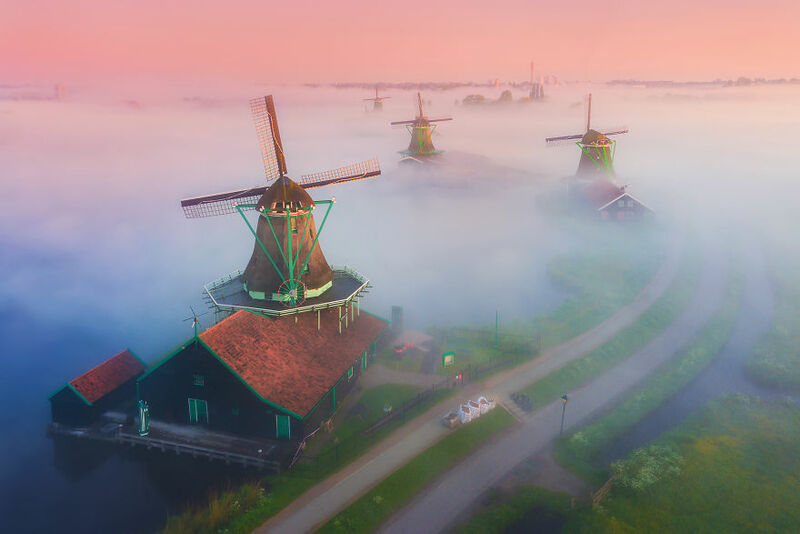 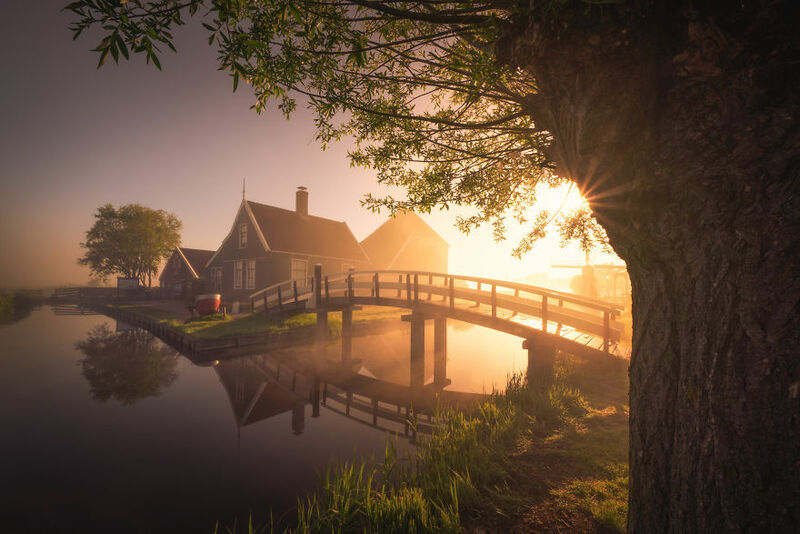 Photographer Albert Dros woke up early in the morning to shot the incredible windmills’ village of Zaanse Schans. 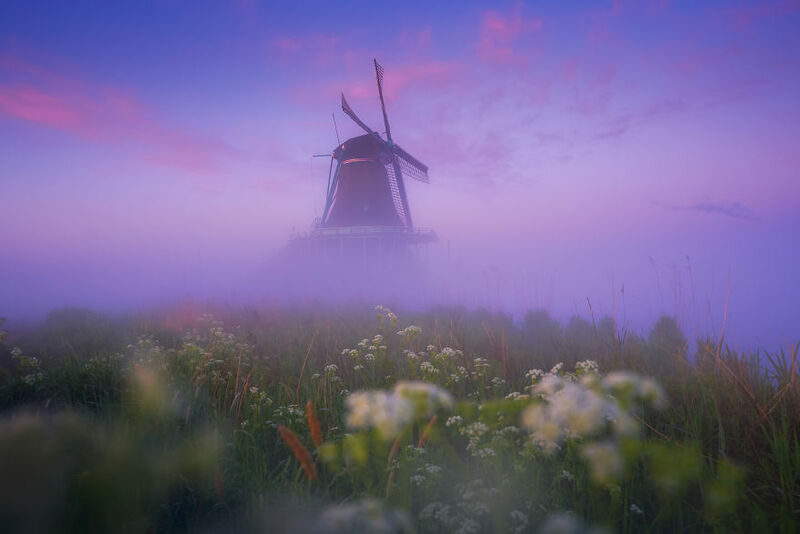 He creates then a fairy atmosphere looking like a Grimm brother’s novel. 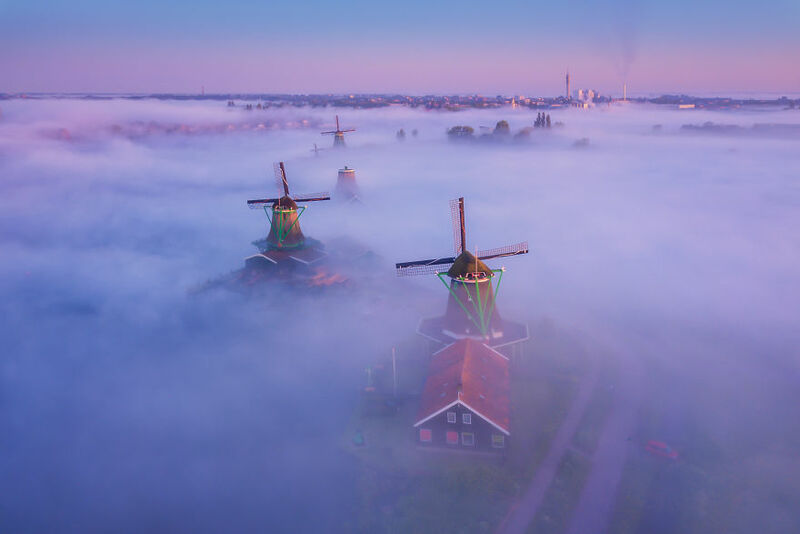 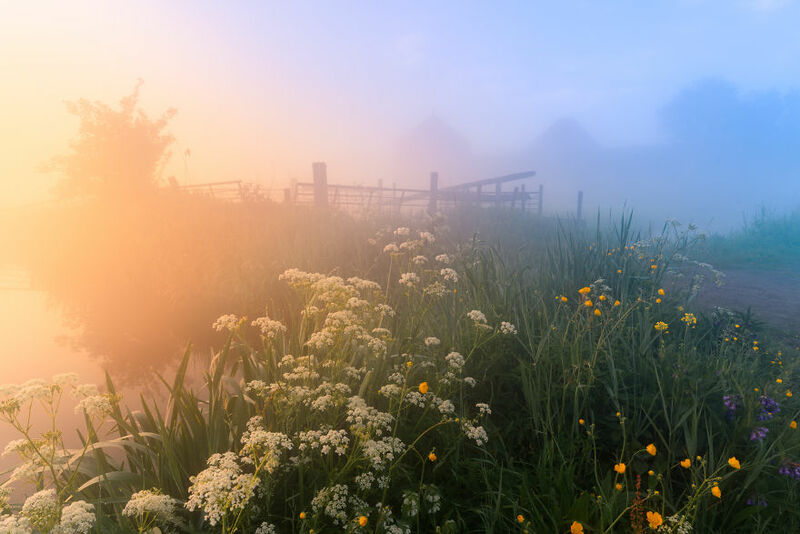 The village, usually full of tourist, unveil a romantic ambiance into the fog of 5am in the morning.